Soil aeration is another necessary practice if you want to maintain a beautiful, dense lawn. In addition to proper fertilization and routine mowing, soil aeration will help your grass to grow as vigorously as possible. Aeration helps the nutrients travel throughout the soil and reach the roots which help make it easier for your roots as they grow and move through the dirt. The specialists at MDM Landscapes are here to provide effective soil aeration in Dallas-Fort Worth, TX for your commercial property, apartment complex, or residential development. Call us at 817-396-0125 for lawn care services in the DFW area. Proper soil aeration for your Dallas-Fort Worth, TX property will assist in removing lawn thatch. Thatch is the layer of stems and roots that accumulate near the surface of the soil and remains undecomposed. This layer of material can starve the soil of oxygen and necessary nutrients, making it harder for your grass and plants to thrive. 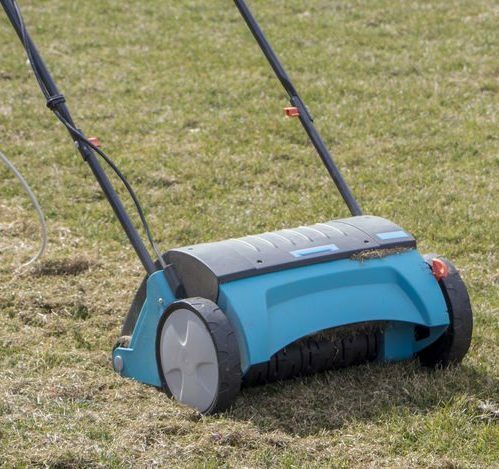 The most basic aeration methods involve simply perforating your lawn’s soil with holes. These small holes allow air, water, and nutrients to reach the roots, helping them grow more deeply and provide vigor to your lawn. Aerating your soil helps to remedy compaction that can occur from years of bearing traffic and equipment. Soil that has become compacted is too dense and prevents the proper circulation of water, nutrients, and air. This will also impede the growth of roots, and can eventually kill your lawn. The best time to aerate your soil is during the growing season, which will be early or late spring for most species of grass, though some species of grass grow toward the end of the summer, and so aeration of these species is best done in early fall. Call us for soil aeration in Dallas-Fort Worth, TX today! Spike Aerator – These are solid, fork-like tines that you can use to puncture the soil with small holes. This is less effective, and can be time-consuming across large areas, but is cheaper and faster for small sections of lawn. Plug Aerator – Plug aerators remove a core of soil from the grass, and can go as deep as 2 or 3 inches. Aerating machines exist which can help remove these plugs quickly and uniformly, ensuring proper aeration across all sections of your lawn. MDM Landscapes is happy to provide soil aeration in Dallas-Fort Worth, TX. If your lawn is looking unhealthy, chances are soil aeration is the right solution for you! Call us now at 817-396-0125 for other landscaping services in DFW. Updated on March 18, 2019 at 4:37 pm by MDM Landscapes.